Deep Creek summer vacations are top of mind with many families now that spring has sprung. Daydreams are filled with thoughts of sunshine, flip flops, boat rides and bathing suits. If you’re thinking that a Deep Creek summer getaway isn’t in your budget, take a look at these affordable vacation rentals with great amenities! Each one is under $1500 TOTAL for peak summer weeks. When you visit Deep Creek Lake, the scenic beauty and endless activities will draw you back year-after-year. Summer is one of the most popular times for families and friends to gather at a Deep Creek vacation rental to make “mountain memories”. Family spring break at Deep Creek Lake is a great way to unplug from your everyday life and reconnect by making fun memories in the mountains. This is a quieter season that offers a great value to vacationers. You can take advantage of some of the lowest rates of the year and enjoy attractions and activities at a leisurely pace. 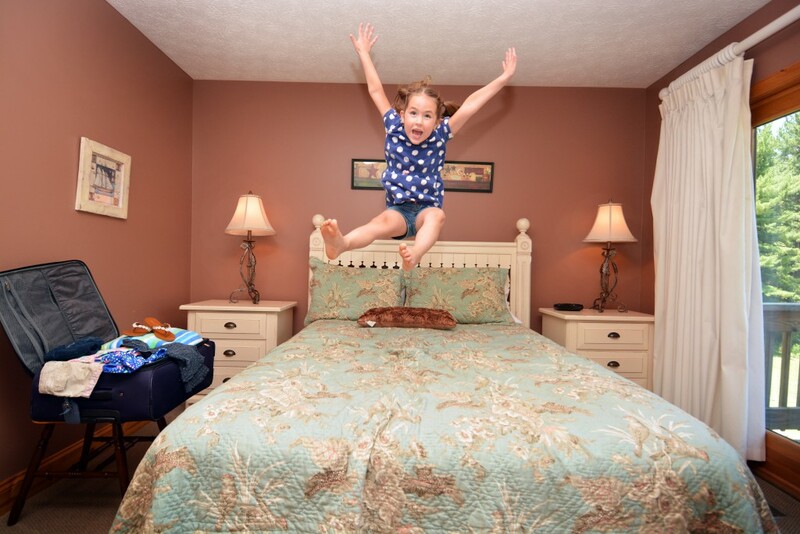 Our Family Spring Break Package gives you big savings on lodging, dining and activities when you stay with us March 14-May 9, 2019. Call 301-387-5999 to make reserve your family’s getaway! Open Friday, Saturday and Sunday, this is a fun activity for ages 8 and up. Test your agility at this indoor obstacle course. Open Friday, Saturday and Sunday. Indoor arcade games, mini-golf and bumper cars (open unless it is raining). Vintage and modern arcade games, mini-golf, pizza and snacks.